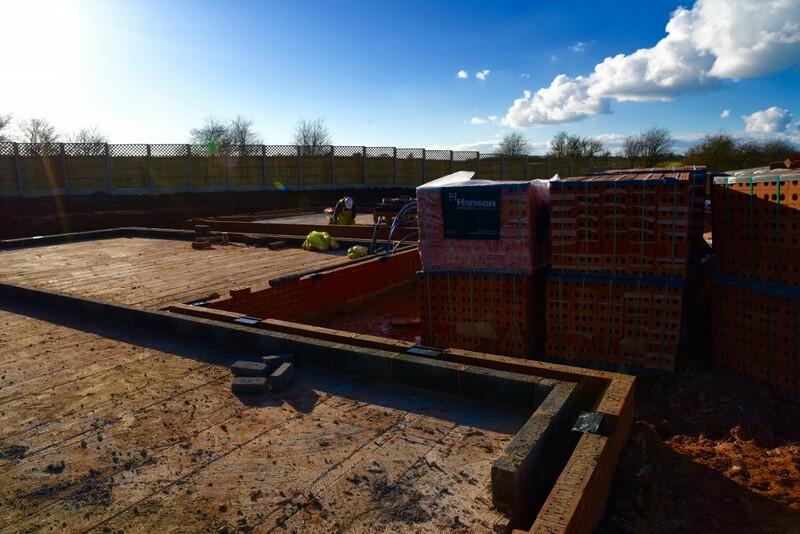 The foundations are in, the first few rows of bricks have been laid, and work is moving at a pace on the first site in our B@Home programme. Seven energy efficient family homes are being built on a former garage site on Rogers Avenue in Creswell. These are the first of an anticipated 150 new council homes we are aiming to build in partnership with Woodhead Living. Work on site is currently still focusing on groundworks, with bricks having reached the damp proof course. The team is managing a road closure, which is necessary in order to get services to the site. Throughout this time the site manager and his team are in regular contact with the neighbours directly affected, who have all been very supportive. Cabinet Member for Housing, Councillor John Ritchie said, “As a Council, growth is our top priority and partnerships, like in this project, are essential to us being able to achieve our goals and unlock the growth potential in the District. “This first site is progressing really well and will see a piece of derelict and under-utilised land turned into affordable, desirable homes for the benefit of our local communities.” The program of works, which was launched in December 2015, marks a four-year partnership between Woodhead and the Council. The agreement has been named B@Home and was procured through an EEM Ltd framework, that will not just see sustainable council homes built to an excellent standard, but also provide local jobs, training opportunities and investment in local businesses. This first development is due to be completed by July 2016, with other developments in 2016, including 25 new properties, which will be spread across four other sites across the District. Woodhead is already working with local businesses, ensuring it targets suppliers and supply chain partners from the local area, with one subcontractor already appointed from the nearby village of Whitwell. Pete Smith, Managing Director at EEM Ltd said: “As a procurement consortium we work hard to secure efficiencies for our members, but it’s just as important that we are able to have a positive impact on the communities we serve through the delivery of our programs.